Ding! 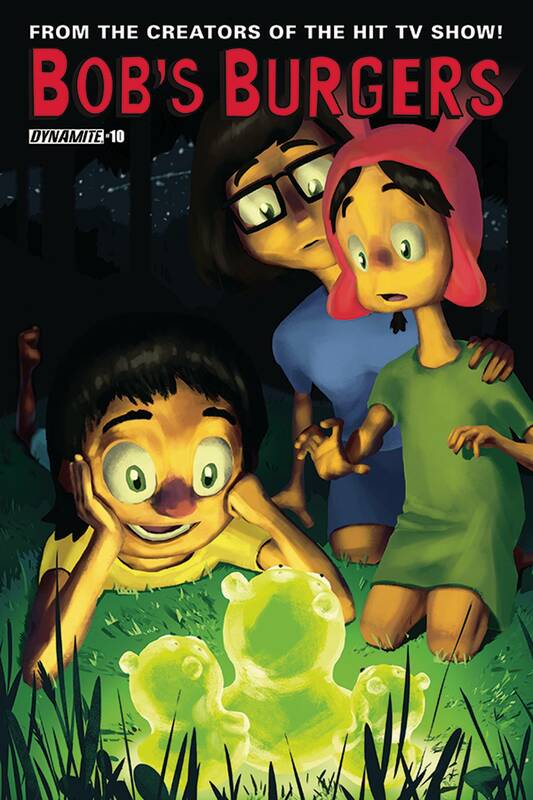 Order up for a new issue of the Bob's Burgers Comic Book. Louise's video game adventure comes to an end; Jack (Louise) faces off against a Gene-ish giant in Jack and the Gene-stalk, Part 2; and Tina tells a dance-filled drama about the fate of a famous ship and an almost-as-famous iceberg. Everyone loves Bob's Burgers, the fan-favorite animated sitcom that airs on Fox television with other hits such as The Simpsons and Family Guy!